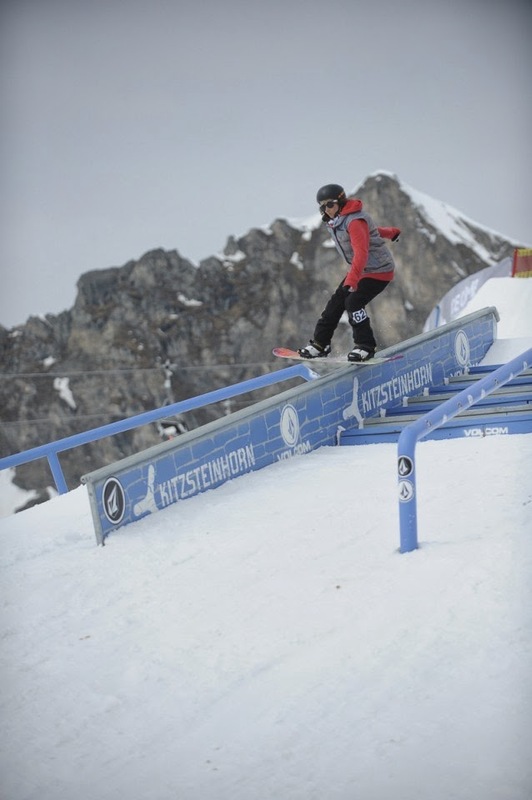 Last week there was another Volcom Peanut Butter Rail Jam on in Austria. I headed over with a few of the girls from mayrhofen for the day, Betty, Eva and Bianca. After all this great weather, the forecast was actually for snow showers and high winds! Did I mention Kitzsteinhorn is a glacier.....so yeh it was pretty windy but the weather held out long enough to do the competition! It just meant the run in was a bit icy! So, we had a quick practice on the setup. It was actually a really nice setup, the rails were really smooth. A few of the options looked a little more daunting, but once I hit them it was fine. 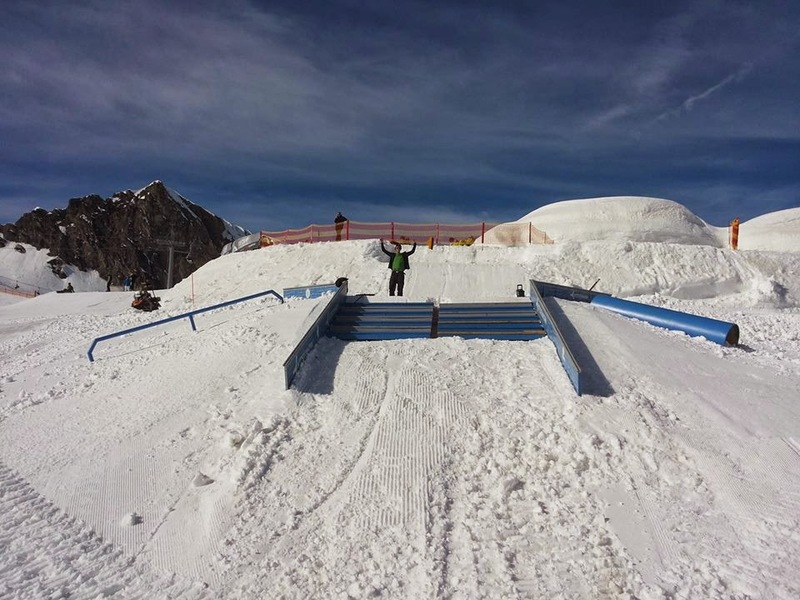 Once we found out the format, it turned out we didn't actually have to hit the side features (which were the gap, closeout to downrail options) so most girls opted for the lefthand downrail, double kink, and right hand downrail. The format was best trick on each counts, and you have to hit all 3 features. 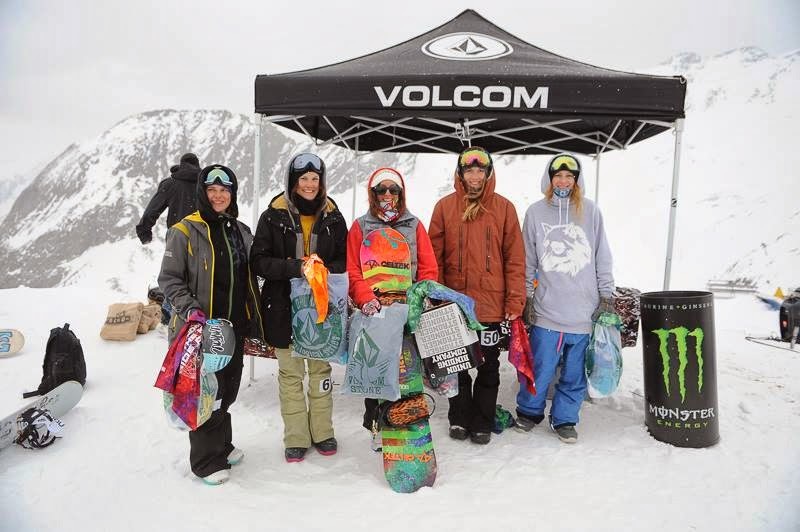 As always, Volcom put on a great BBQ with sweets, chocolates (yum) and even beers! And then loads of throw out prizes at the end for everyone! Definitely one of the best competitions to go to for a fun day out! !